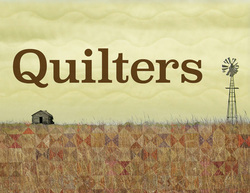 Quilters is presented by special arrangement with Dramatists Play Service, Inc., New York. 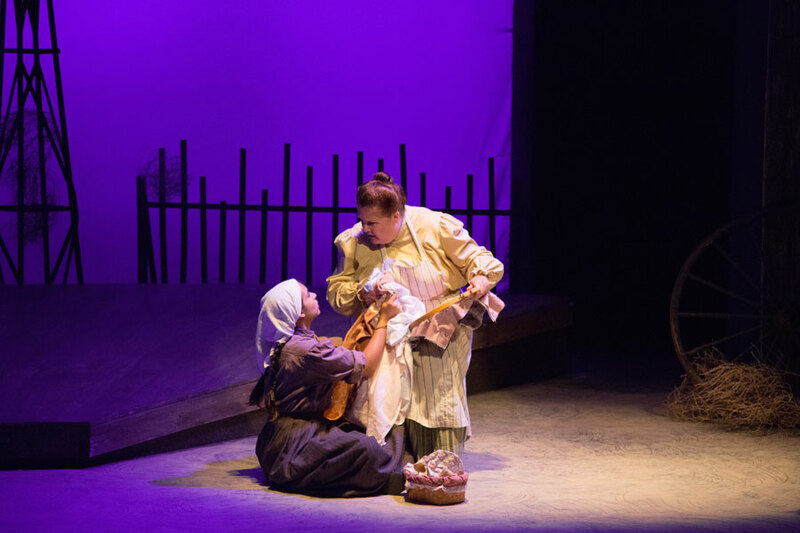 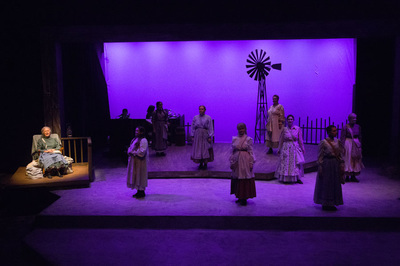 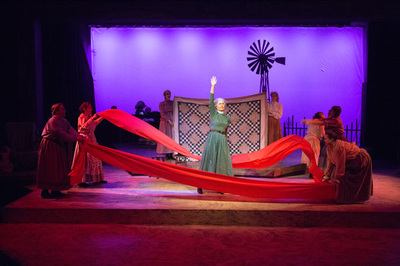 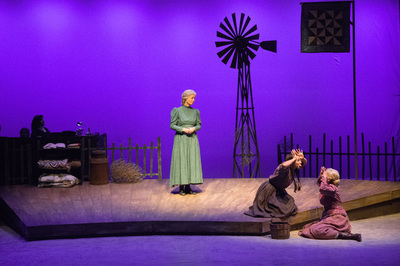 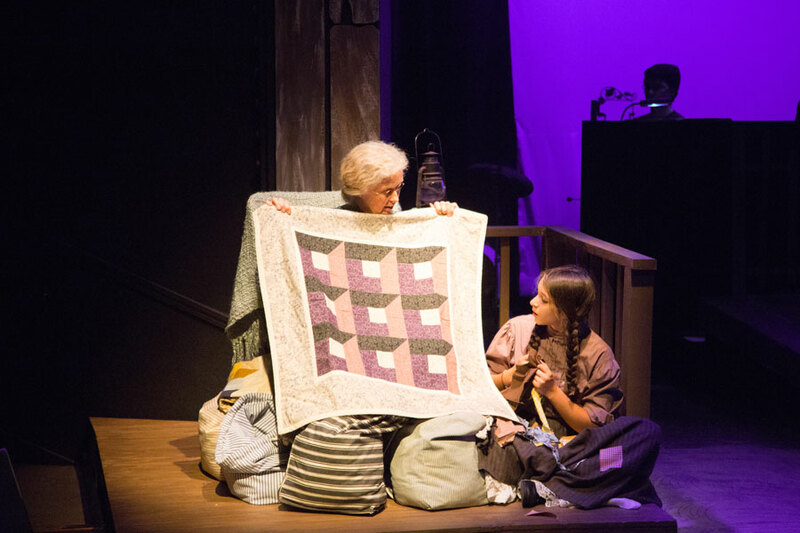 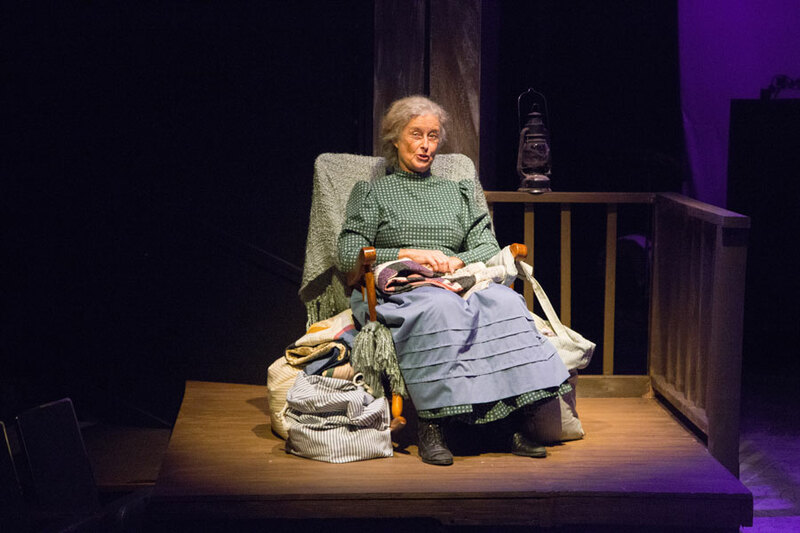 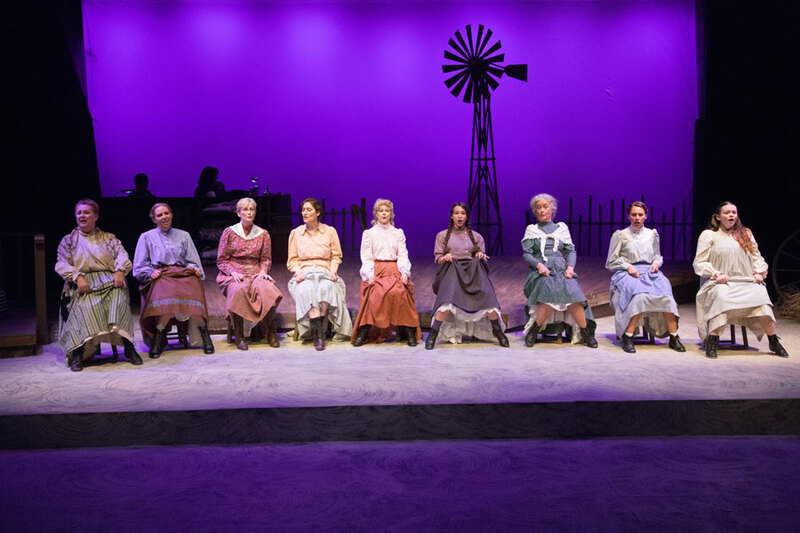 Based on true narratives of pioneer women, Quilters dramatizes the strenuous realities of 1800s frontier life. 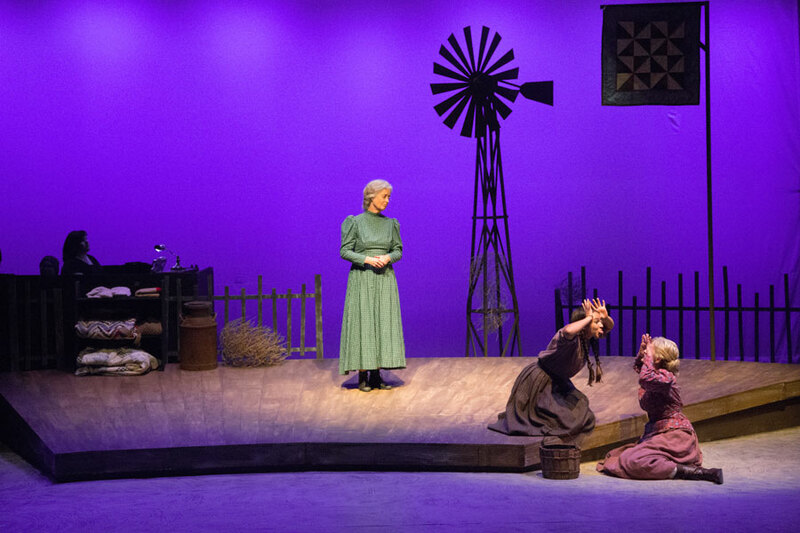 Prairie fires, twisters, starvation, and death are interspersed with lively, and often humorous, accounts of cabin construction, courtship, and childhood pranks. The patterns of life -- the dark times contrasted with the light -- are reflected in the women’s quilts, as are the connection, strength, and creativity they shared. Just as singing and dancing have helped folks survive and celebrate their lives, so too music and dance enliven this show. 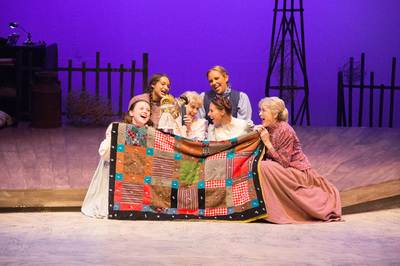 The message is universal and timeless: human survival depends upon our ability to embrace both laughter and tears. 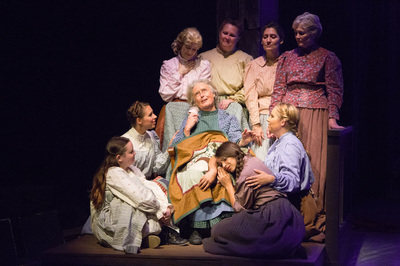 This uplifting and moving saga promises to warm your heart and stir your soul.